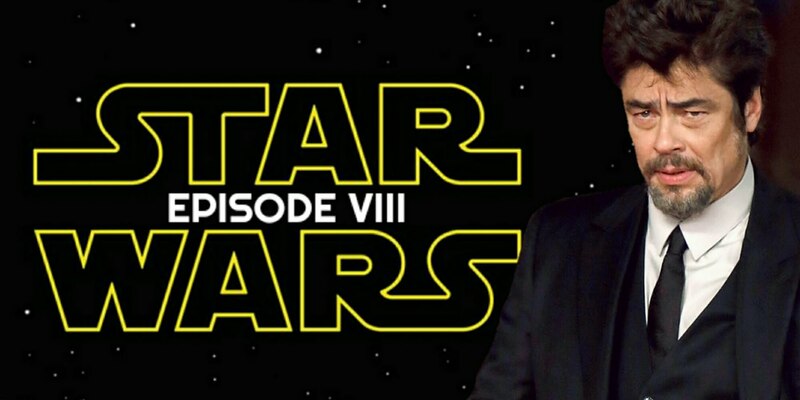 Another Star Wars Episode 8 Benicio Del Toro Character Rumor…. Well it wouldn’t be a day that ended in a “y” if we didn’t have another rumor regarding Star Wars: The Last Jedi and Benicio Del Toro’s character. I have previously written about a theory that connects Del Toro‘s character to the Rebels animated series. In this case, Youtuber Mike Zeroh believes Benicio Del Toro will be playing a character named….”Vicrum Fett”. According to Zeroh, the posting where he spotted this has since been updated to read “TBA”, but if you google “Vicrum Fett”, it still pulls as a result. Let’s see….Fett….where have we heard that name before…..oh yeah! The world’s most famous bounty hunter, Boba Fett! Could Vicrum Fett be a son of Boba Fett? A descendant of a Jengo Fett clone? Or perhaps Boba’s father’s brother’s nephew’s cousin’s former roommate? Or could there be no relation? Maybe Fett is the “Smith” surname of the galaxy? Then again, this could all be mis-information from the studio to keep our head’s spinning in different directions. Either way, Star Wars: The Last Jedi’s release date of December 15th 2017 can’t come soon enough! Do you have any theories? Comment and let me know! Previous Meet Your New Personal Assistant….Barbie?